Branded reports enable you to replace the Unamo logo in the header of all downloadable reports with the logo of your choice. That way, you can send branded reports to clients, your boss, or teammates. When enabled, add your logo by going to Account Settings → General. Your logo must be a square image at least 60 X 60px. After saving the changes, you’re all set! It's important to note that purchasing Branded Reports does not remove the Unamo footer. To create white-label reports with exclusive branding, you will want to get rid of Unamo’s branded footer. The Unamo Footer Removal feature removes our footer from every page of any downloadable report. The feature is applied across your account to any and all campaigns. 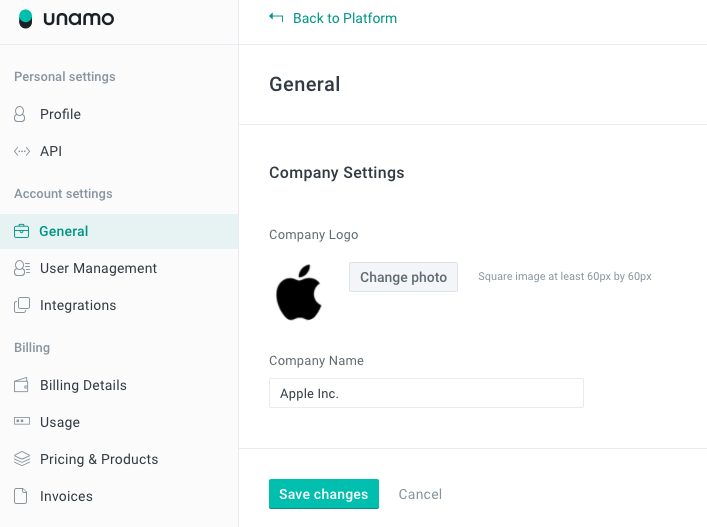 To enable Branded Reports or Unamo Footer Removal, you can either contact our Support Team (support@unamo.com) or add the feature to your plan from the hub Pricing and Products Section.